Do we need more apprentices in construction? Are driverless vehicles a good idea? 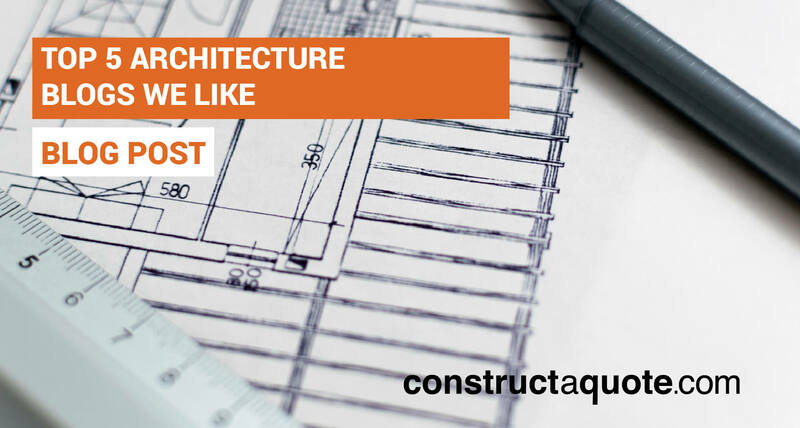 Here are 5 useful blogs we recommend architects to read. Offering the latest industry updates and trends. Featuring a range of constantly updated news, tips and ideas, decoist brings you daily updates of architecture, furniture and interior design. Featuring ideas for all around the home, decoist is excellent for those who are interested in décor and architecture. This is a go-to blog if you want to stay up to date with the latest trends for inside and outside your home. Updated on a daily basis, the Architects Journal is built around five themes – industry news, building studies, business intelligence, expert opinions and cultural analysis and is designed to help architects grow their business. If you are an architect that is interested in news and updates from around the world then is the blog to read. Updated on a monthly basis, Architectural Digest celebrates international design, products and inspiring decorating ideas. Their website offers consistently new coverage of interior design, shops, products and high-end properties. You can also subscribe to the website, which will give you access to extra photos, videos and interactive floor plans. Arch Daily is perfect for working architects to research and see good up-to-date examples of projects and architectural products. Their site curates ideas, pictures and plans and delivers them with innovative technologies to architects all around the world. This blog is more fitted to those working or currently studying architecture. Homeli is a multi-faceted design blog that focuses on furniture art, industrial design and architecture. Featuring everything from the latest wood design technology to D.I.Y furniture for the home, this blog is sure to inspire even the most novice crafters. This is a must read if you want to learn more about D.I.Y design and crafting. If you are currently an architect, then it is important to have the right insurance in place. To find out more, visit our architects’ insurance page. The views and opinions expressed in this article are those of the author and do not necessarily reflect the position of any other agency, organisation, employer or company.